Here are the day to day SEO and Analytics questions you should ask yourself! (1) Do you know what type of links your SEO client sites require? (2) Is your site Search Engine friendly? Did you do a test? (3) You have Google Analytics and you find hard to understand? (4) Google Webmaster tools are interesting. Do you find that easy enough? (5) How many quality links you require to bring your site to top position? (6) Are you seeing the actual Google page rank of your site in your tool bar? (7) Do you have unique tags for all your pages? (8) Is Alt attribute important for site promotion or it is only for browsers? (9) What happens to your rank if you don't link domain to your logo? (10) Do link juice get split if you have xyz.com and xyz.com/index.html? (11) Do Google still like links from paid directories? 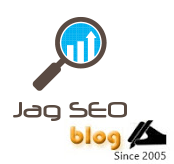 (12) Have your site SEO audit score reach 10/10? (13) Are you sure about your site current keywords? (14) Are your keywords getting enough related traffic? (15) Do you get business from your site-optimized keywords? (16) You get traffic but not business. Why? (17) Will re-optimizing the existing keywords drops your current ranking? (18) Do you site redesign drop your existing keyword position and rank? * You can find answers from this blog site posts. Try the blog search that can be found in the header section!